Suprise the bride to be with a limousine for her Hens Night in Melbourne, and celebrate the last day of her single life in style. Girls just want to have some fun and hiring a limousine would be a perfect choice. Sing to your favourite songs while hitting the road, and dance all night long accompanied by our party lights. 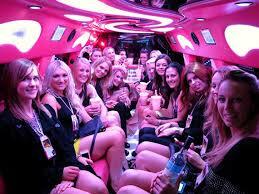 It is no doubt that Image Limousines is the best choice for a Hens Night limousine hire in Melbourne. Our years of experience in the limousine hire industry are unbeatable and clients have been gushing about our excellent services. Our chauffeurs are definitely reliable, trustworthy and accommodating; they will bring you to your destination safe and sound and will give you the privacy that you need while having fun at the back of the limo. Our full bar facilities on board are one of the best we have in town and we offer our limo hire at an affordable price range depending on your limo of choice. We have a team of experts who can help you out with what you need to make this small celebration a successful one. If getting hitched would be this fun, no bride will ever have to deal with cold feet ever again! So call us for a stylish hens night limo hire service, or email us at info@imagelimousines.com.au and our customer support team will answer your inquiry about hens night limo hire services right away. Image Limousines will give you the best hens night in Melbourne you can ask for! What are you waiting for? Apart for hens night limo hire Melbourne we also offer wedding limo hire Melbourne, airport limo hire Melbourne and limo winery tour Melbourne in Yarra Valley and Mornington Peninsula.